This makes me sad because I want to be a part of this but know I won't be able to get to an ITG machine since Tilt is gone. 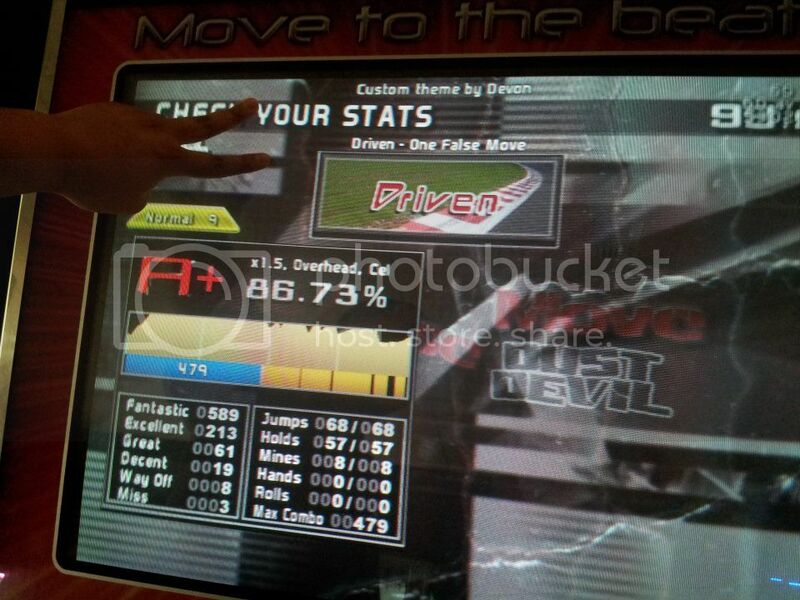 That's why (last month) I started with a very easy and open challenge that anyone with a DDR machine after Extreme could've participated in......and I only got 1 person to submit a score. So.....yeah. I have no idea what this information tells me, but I'm experimenting to find what type of challenges people are most likely to participate in. Also, there's only 4 days left to submit your scores! I would have participated if i had know...Sorry about that. Throwing in my attempt. It was a lot more fun than I remember, I might try again if I go to acme this weekend. Alright guys, thanks for the show of participation! We've got two days left to get your scores in (or get better scores). 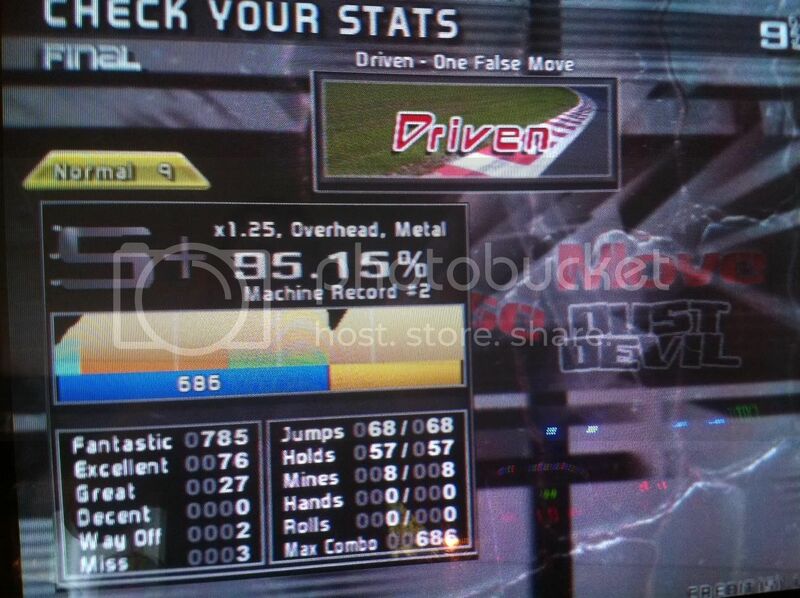 I gave another try at Driven.. Sorry about the size; I use a low-tech phone. Thanks for the participation this month everyone! Great job guys! I will be announcing April's challenge in the next three days. You can also see what the current challenge/rankings are on the first post of this topic. Hehe glad I could help motivate you guys actually doing this. We should try not to just one-up each others' scores though in the last 2 or 3 days of the month, that seems kinda lame (though I admittedly only didn't do it again on the 31st out of laziness). Maybe keep submissions in private messages to Suko, and he can just announce the current leader, but not their percent. That just seems like it'll keep us from posting the leading score an hour before the month ends Or whatever really, just thought I'd voice the concern. I look forward to April's challenge! Interesting idea. I say do whichever you feel like. If you want to PM me directly to keep your scores a secret, feel free to do so. If you'd rather provoke some serious competition, then feel free to post it here. Pump it Up players are going to get some love this month. 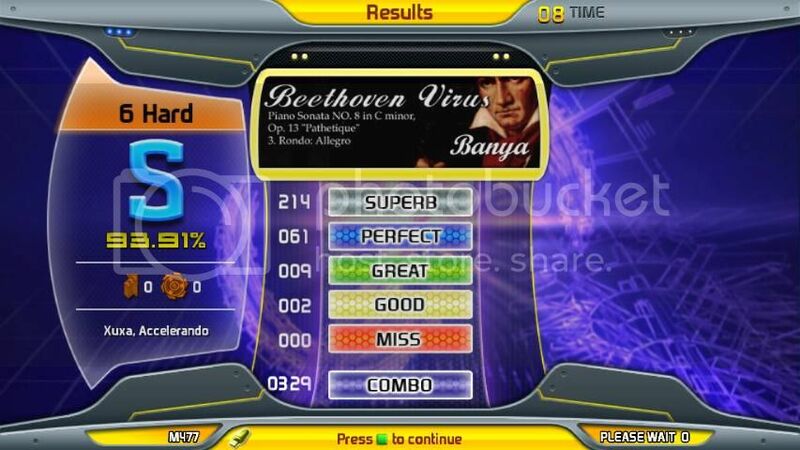 Objective: Get the highest score possible on Pump it Up's Beethoven Virus on Hard difficulty with the Acceleration Accelerando mod active. Also, because it's spring, I want to see ducks. So let's see that Xuxa noteskin on there too! Specifics for this challenge: Submit a screenshot or video showing your highest score on this song (with the appropriate mods) achieved between now and the end of the month. 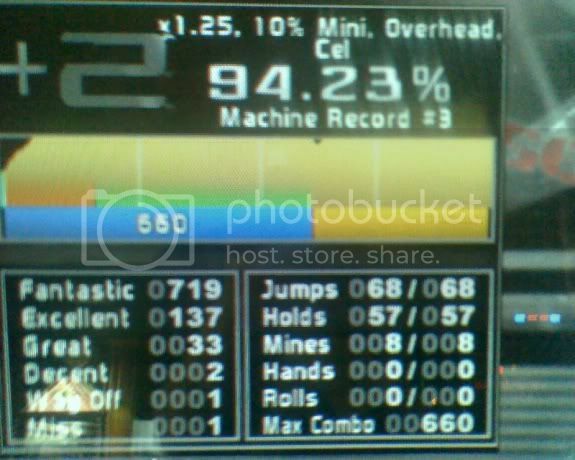 Note: This challenge was intended for use on Pump it Up Pro, but if you want to try it on a different PiU machine, that's fine too. However, you have to choose some noteskin mod that is strange or whacky to make up for the lack of duckage. In the event of tie scores, the person to submit their score first will be given the higher ranking. Um....I actually didn't know there were two different types. Could you explain what both do and I'll clarify as to which one I meant? Accelerando causes the rate of the song to speed up gradually with every arrow hit. It keeps going until you break combo at which the speed is normalized and starts over. It's Accelerando. That's the one I meant. A friendly reminder that you have 1 week left to get your scores in for April's Challenge! Erm...you might want to upload that to "teh intertubes" for the rest of us to see.